We have become slightly addicted to STAR OCEAN: ANAMNESIS since it launched for iOS and Android, massively enjoying the mix of absurd story, engaging (if repetitive) combat and generous stamina distribution. It’s probably our most played mobile title since Pokémon Go!, so we’re glad that Square-Enix are continuing to support the game with events, especially if those events are collaborations with NieR:Automata! Fan-favourite character 2B, who was previously available in-game for a limited time, is back along with her cohorts 9S and A2. 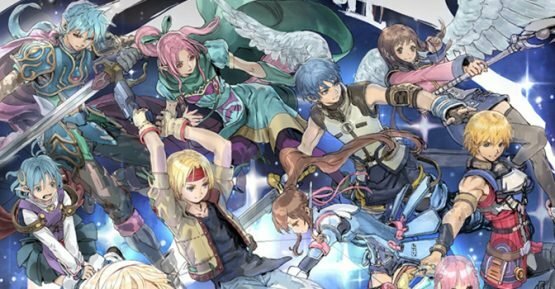 In addition to each character receiving a custom STAR OCEAN: ANAMNESIS 3D model, each has also received a new 2D illustration, which is viewable in-game. Until 27th November 2018, players can add the iconic androids 2B, 9S, and A2 to their roster through a limited-time character banner. 2B, a 5-star Ace Attacker, excels in short-range combat, while 9S, a 5-star Ace Sharpshooter, can use his heightened speed and agility to evade enemy attacks. A2, a 5-star Ace Defender, is also capable of dishing out great damage during her RUSH mode, and can recover her and her party’s AP when evading an enemy. A2’s Great Swords and 9S’ One-Handed Sword (Type-3 Sword) are available for the first time in-game with their addition. Additionally, new players can take advantage of the ‘Welcome Aboard Campaign’ simply by creating an account by 07:00 GMT / 08:00 CET on 27th November 2018. These new players will be treated to 2,000 Gems, a 5-star Ace Character Ticket, three 5-star Character Tickets, a 5-star Weapon Ticket, and more, enabling them to jump right into the action alongside more experienced players. Have you picked up STAR OCEAN: ANAMNESIS yet? If so, what do you think? If not, what’s stopping you from giving it a try? Let us know in the comments, or on Twitter, and check back for more coverage of this and other Japanese titles!